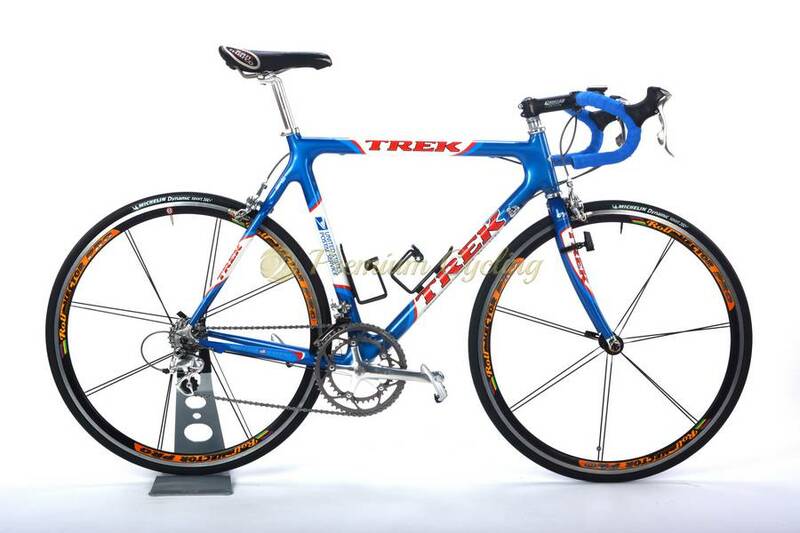 In 1999 Trek Bicycles became the first bike manufacturers outside of Europe to win the world’s most prestigious bicycle race, the Tour de France, with US Postal Service leader Lance Armstrong‘s triumphant performance. Armstrong and his unrelenting teammates race on stock Trek 5500 OCLV carbon frames, making them the only team in the Tour de France to race on frames identical to those that are available to consumers around the globe. Thanks to Optimum Compaction, Low Void (OCLV) technology, the 5500 was the world’s lightest production frameset, weighing in at a scant 912g. We are offering a very very similar bike to TDF 1999 winner’s bike Lance Armstrong. Same frame and size, same groupset, same saddle and handlebar type, same wheelset. Needless to say that this bicycle is a unique piece. Very good condition, with Octalink computer included. 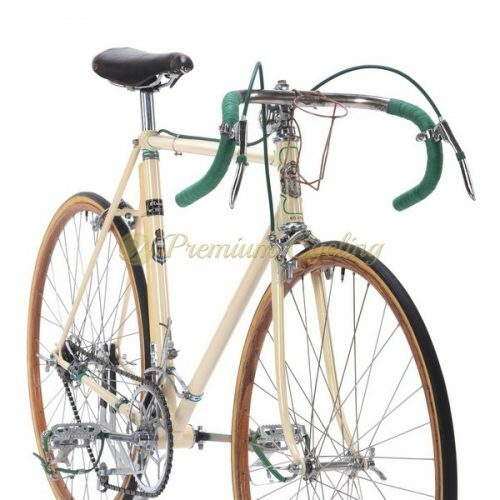 An iconic racing bicycle perfect to enrich any classic bicycle collection or just to enjoy a fast and comfortable ride. Pedals: Welgo (NOS, cleats included). Condition: Used. The bike is in very good condition. The frame has no cracks, no dents and is not bent. The original paint has a few little touchups, otherwise it is in excellent condition. Octalink computer is functioning. All parts are working fine.